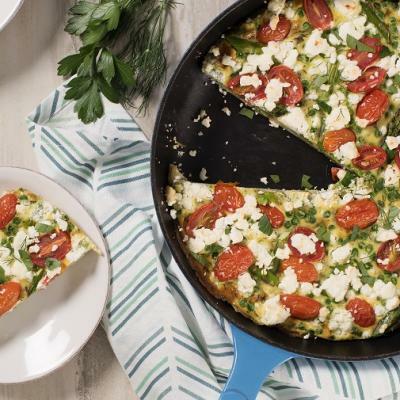 Manitoba egg farmers Doug and Sherry Pauls know frittatas are a versatile dish for any meal. 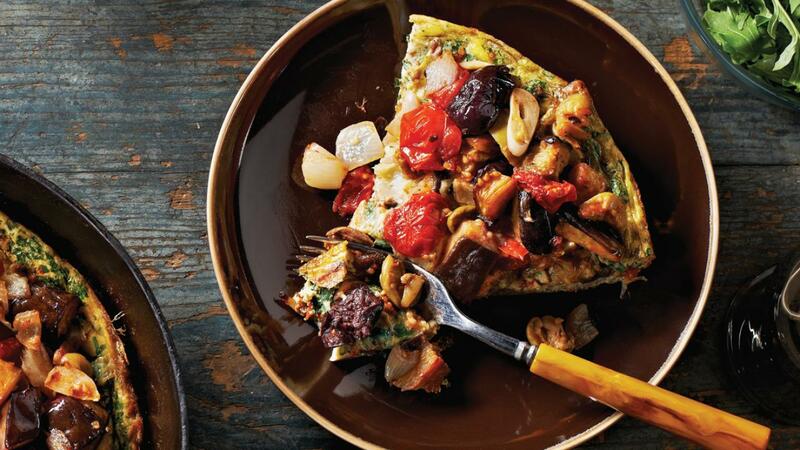 In this favourite version, the egg base is topped with seasoned roasted vegetables. The Pauls family likes to use vegetables from their garden. Combine eggplant, cherry tomatoes, olives, onion, garlic, oil, vinegar, oregano, hot pepper flakes and pepper in large bowl; toss gently to combine. Spoon mixture onto large baking sheet; spread evenly. Roast in preheated 425˚F (220˚C) oven, stirring halfway through cooking time, until vegetables are tender and lightly browned, 25 to 30 minutes. Remove from oven. Leave oven on. Whisk eggs, parsley and water. 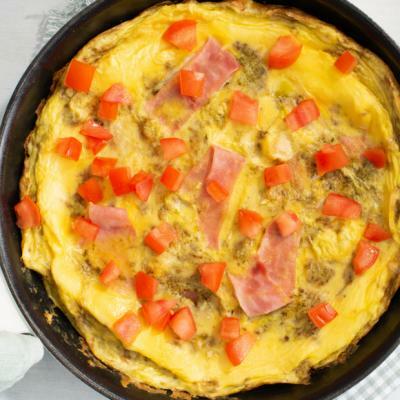 Lightly spray 10 or 12-inch (25 or 30 cm) non-stick ovenproof skillet with cooking spray. Heat skillet over medium heat. Pour egg mixture into skillet. As eggs set around edge of skillet, with spatula, gently lift cooked portions to allow uncooked egg to flow underneath. Cook until bottom is set and surface is still somewhat liquid, 6 or 7 minutes. 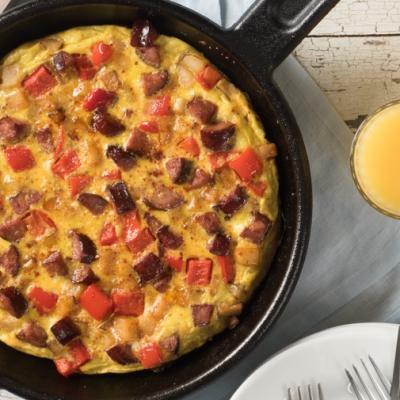 Remove skillet from heat; spoon eggplant and tomato mixture over top of frittata. Return to oven and bake until egg mixture is set, about 10 minutes. Hot pepper flakes are also known as chili flakes or crushed red pepper. If necessary, ovenproof the skillet’s handle by wrapping it in a double thickness of aluminum foil.